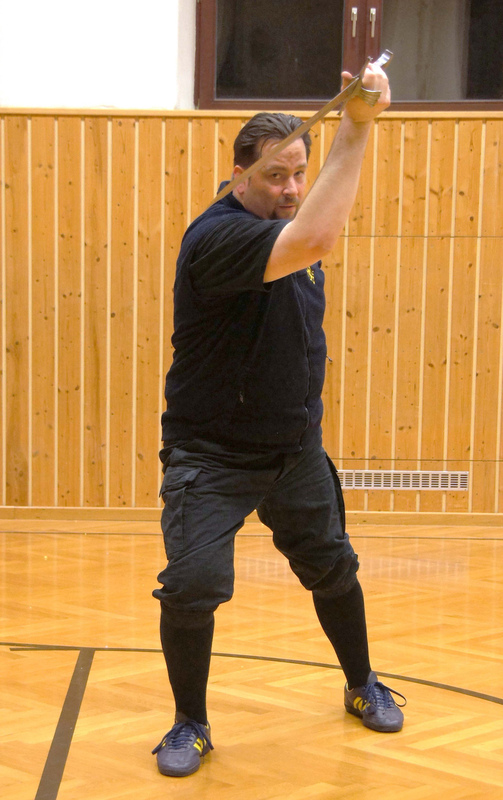 Martin Enzi first got in touch with martial art, by practicing classic boxing, but finally switched to practice HEMA (Longsword) in 2001. 2005 he started out as a trainer for long sword, Messer and in the following years also for peasant weapons and spear. his main focus and deep passion lies on the Messer according to cgm582/Johannes Leckuechner. Of course other sources, which are also talking about Messer (Talhofer, Wallerstein, Pauernfeindt, …), are going along with that. Next to HEMA he practices stagefighting since 17 years and is working occasionally as a stunt coach and choreographer for Movies and TV. Workshoptitel: Slice him nice – Bewegungsmuster, Techniken und Prinzipien beim Kampf mit der Sichel.